There are some great tax deductions available if you’re an Airbnb Host that can help you mitigate your tax liability. Below provides a list some of the top tax deductions that can save you money. 2. Cleaning - This expense can range from hiring a professional cleaning service to buying toilet bowl cleaner, windex, and a vacuum. There are many day-to-day cleaning expenses that you incur to keep your place clean for guests which are tax deductible! 3. Furniture - This is a great tax deduction, especially if you purchased furniture for purposes of Airbnb. Such Expenses can include: Beds, Desks, Drawers, and other household items necessary for your Airbnb rental. There may be special rules that apply to furniture so please be sure to speak with a competent tax professional regarding this. 5. Food - This is a great tax deduction if you provide food for your guests and its an ordinary and necessary part of running your Airbnb listing. Make sure to keep track of every expense that’s related to business versus personal. Overall, ,there are some great tax deductions that are available to you. Its important to provide adequate records of your expenses if they ever get called into questioning. Should I Incorporate my Airbnb Business? 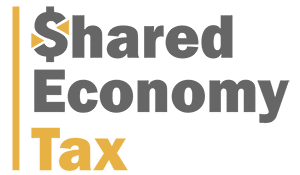 © 2019 Shared Economy CPA All rights reserved.